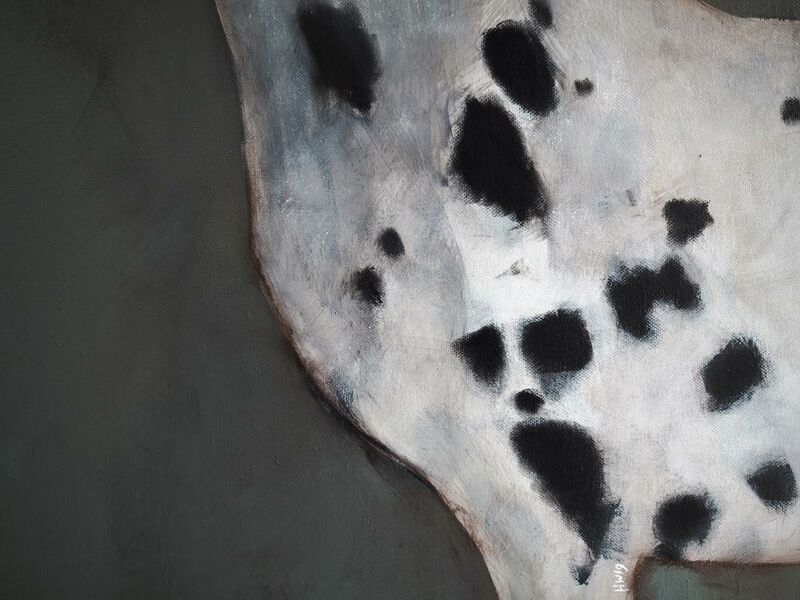 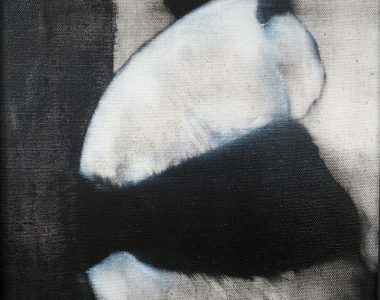 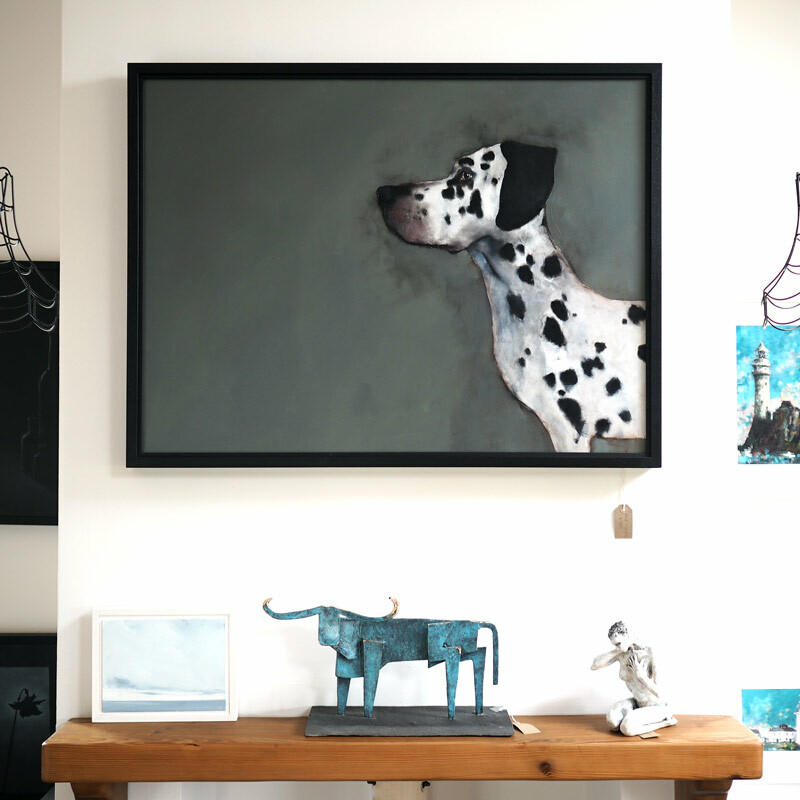 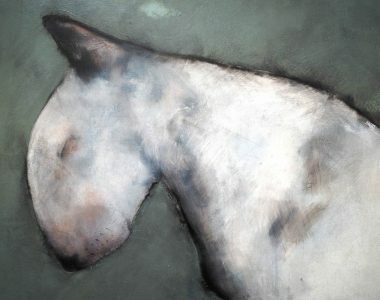 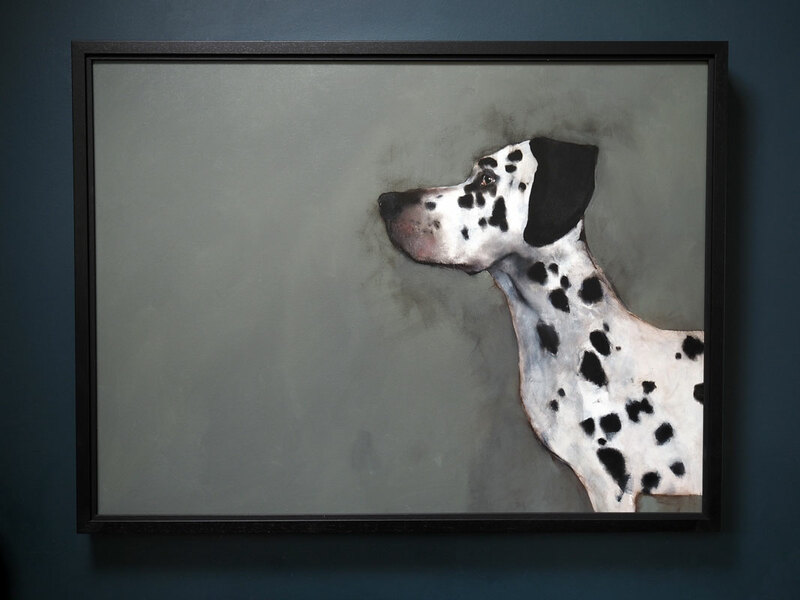 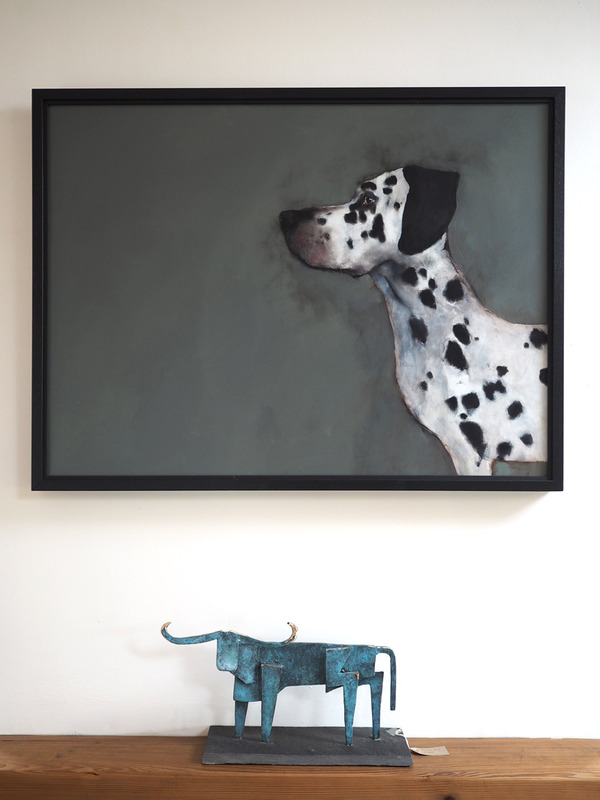 approx 100cm Width x 80cm Height / 39.4" x 31.5"
Heidi Wickham’s fondness for animals is once again evident in this truly striking Dalmatian Painting. 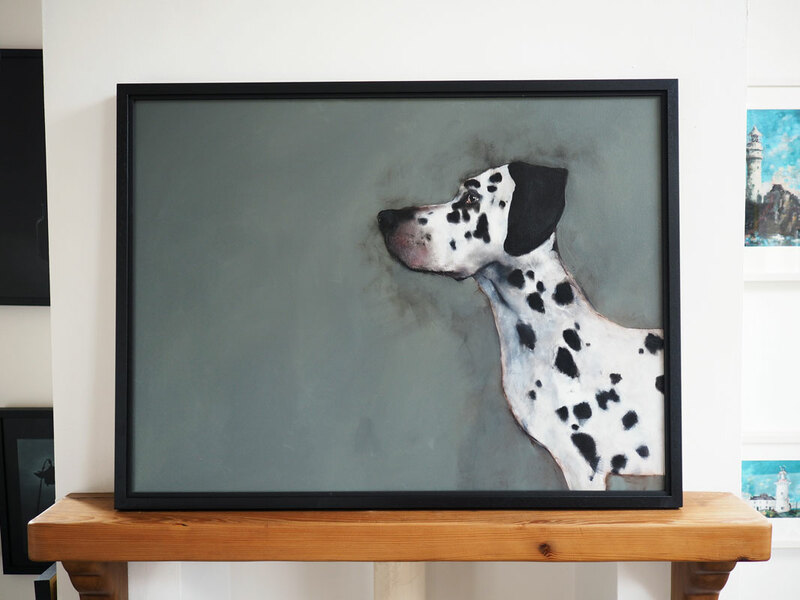 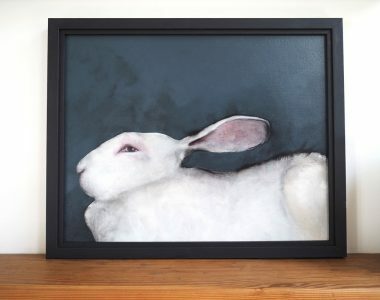 At a metre wide and with superb use of colour, this piece makes quite the impact when hanging in a room; with your eyes being instantly drawn towards it. 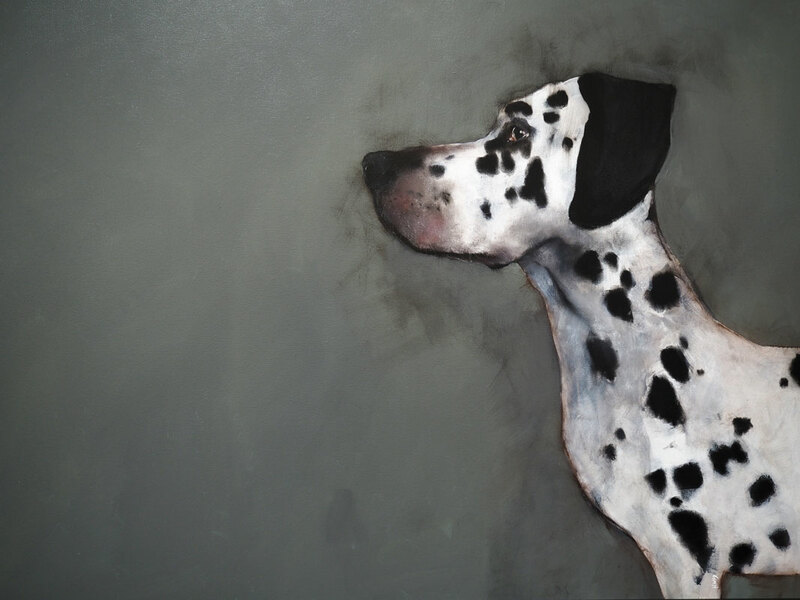 Dog lovers will appreciate the rather serious, expectant gaze of this particular Dalmatian; clearly, something rather important is happening in his all-encompassing, doggy world at that precise moment. 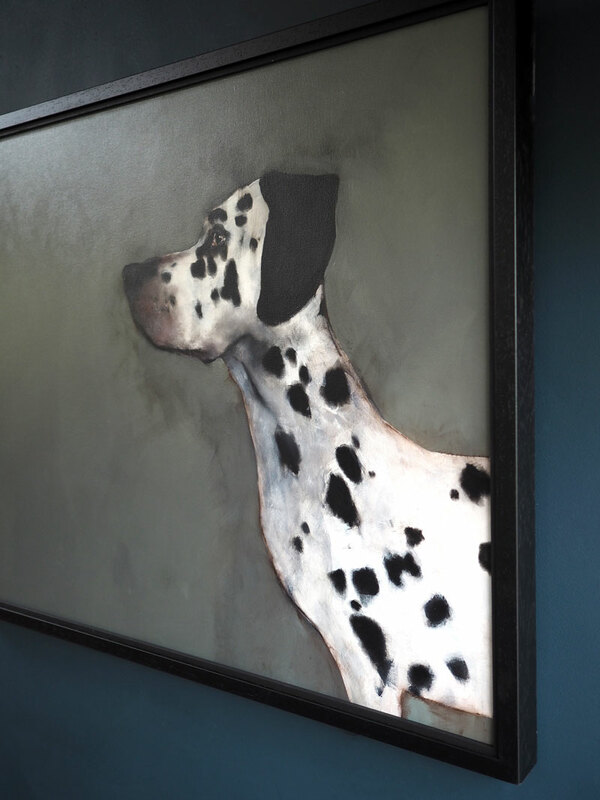 Wickham draws her subjects in charcoal before painting them out with pastels and acrylics – and achieving a perfect colour balance throughout.